What a lavish companion for grilled shrimp! Adore the verdant green and pale coral color combination! This looks fabulous!!! Great idea!! mmm…. I love shrimp! The pea purée sound intresting.! What a terrific idea and I love the bright green color of the puree. That’s beautiful. 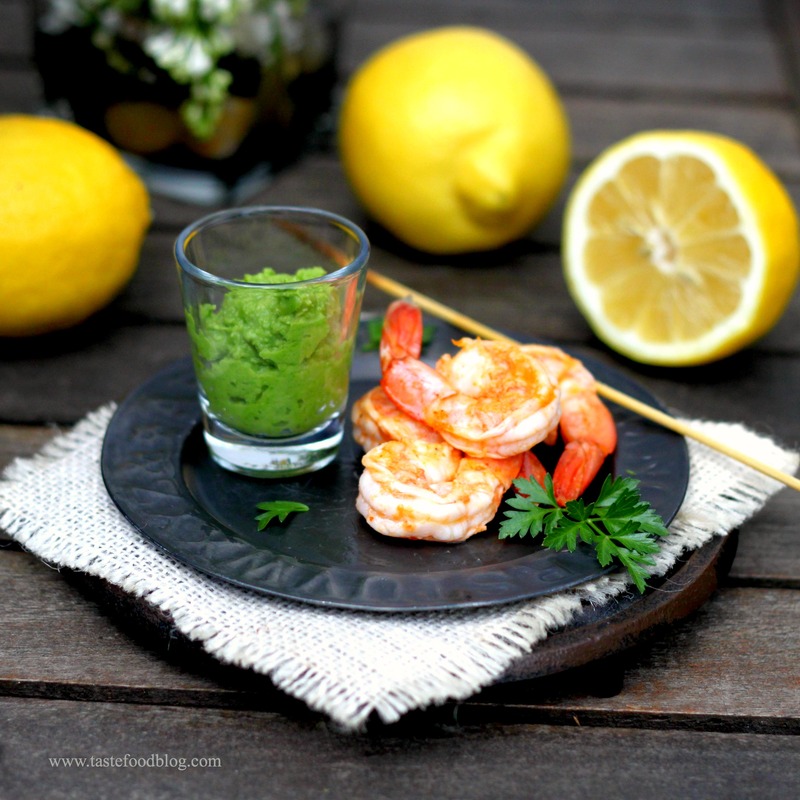 Probably the only way to make grilled shrimp even better is to serve that puree with them.